A commission by Studio Weave for Great Ormond Street Hospital. Studio Weave transformed an awkward exterior space landlocked by buildings into the Lullaby Factory – a secret world that cannot be seen except from inside the hospital and cannot be heard by the naked ear, only by tuning in to its radio frequency or from a few special listening pipes. The pipes gentle, beautiful lullabies create a calming and uplifting environment for the young patients to recover in. 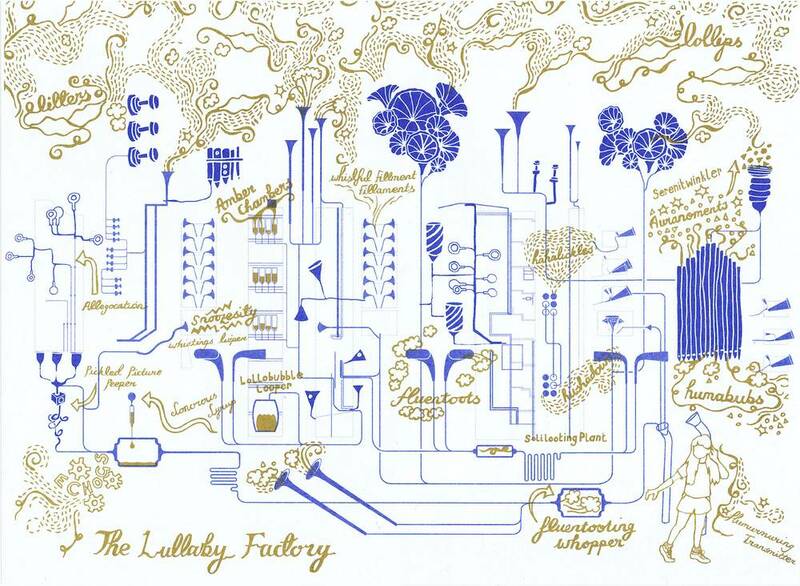 The Lullaby Factory is a mix of an exciting and romantic vision of industry, and the highly crafted beauty and complexity of musical instruments.